With the first day of spring just barely passing by, it’s time for some spring cleaning and decluttering. 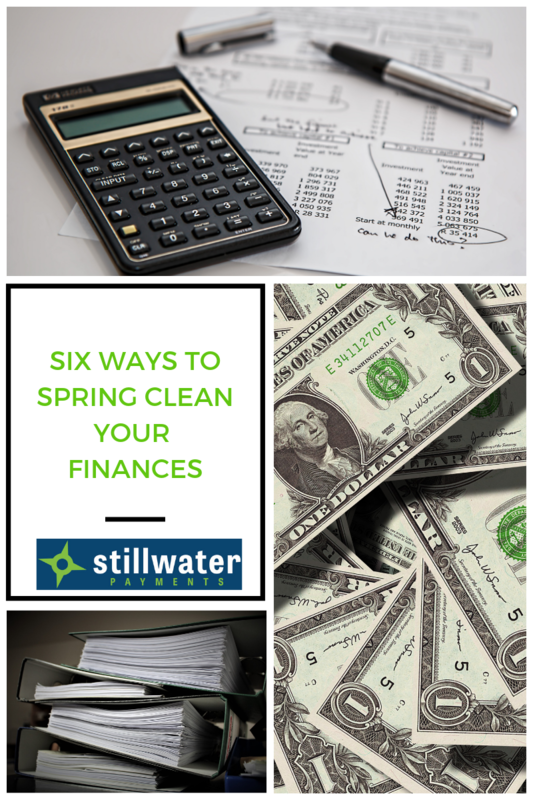 Below, we will give you some tips for how to do some spring cleaning, finance version. By opting in for a paperless option for your bills, you’ll be decluttered and saving the environment! Electric bills are easier to manage and find in your inbox than the scattered papers you sometimes keep from your bank. By limiting the number of bills you get sent to your house, you also decrease the risk of identity theft. The IRS recommends keeping tax returns and other documents relating to your taxes for 7 years. But statements are different. After everything has shown up on your bank account, it is no longer necessary to keep receipts or bank deposits so you can shred them. If you’ve already paid for bills, you don’t need to keep the old statements for utilities or credit cards. It’s always recommended to shred documents that contain sensitive information like banking numbers, account information, and any other personal information that can be tracked to you. Here’s a great source to check how long to keep documents for. Take a moment to reflect on what you’ve been spending your money on. Especially if you’re trying to cut back on spending, take a moment to assess what is a need versus what is a want. Just paying in cash makes you more mindful of your spending, and easier to stick to a budget. We’re also four months into 2019, how is sticking to your budget? Sometimes it takes trial and error to perfect it. After looking at your spending habits, reevaluate your budget and modify it so it’s realistic for you. As scary as debt is, ignoring it in hopes that you won’t have to deal with it isn’t going to help. After reassessing your spending, create a plan to pay off credit cards and loans. Mobile apps like Mint, PocketGuard, and Level make easy to reach those goals, if you’re a little overwhelmed. Reassess how many accounts you have open and with who. Also, take a look at how many credit cards you have, and how often you use them. It only takes a couple of minutes to call your bank, verify who you are, and close the account. Call us at for any help with your credit processing spring cleaning!